Months after the cancellation of MTV’s 2014 breakout hit Faking It, fans are still determined to bring it back on the air. Fans pulled together a petition almost as soon as the news broke; after accumulating over 15,000 signatures in the days following cancellation, the community is still going strong and now includes a website where they publicize updates, trending hashtags, and information about the show. Two representatives who help maintain the petition, Amy Sullivan and Helena Gezels, spoke with The Daily Slice to discuss their goals and accomplishments. The petition text points out the “groundbreaking work” Faking It has done for the LGBTQ community. The text connects the lack of representation on television to the higher rates of homelessness, suicidal tendencies, and depression that queer youth face. Both Sullivan and Gezels narrowed in on representation as a necessity for the show’s continuation as well. For Gezels, it was Amy, the label-less-but-definitely-queer main character, who stuck out to her as crucial to have on a show. Sullivan also noted that the story of Lauren in particular was compelling, given that she was the first intersex character with a spotlight. For some people, losing Faking It meant losing the only representation they had. To acquire network attention, the petition runners have turned to both traditional and internet-savvy practices to keep the ball rolling. A common tactic after a show has been pulled off the air is for fans to send in their letters alongside special items that relate to the show, often food. For Sullivan, that food is donuts. “When Faking It was first cancelled, people sent donuts to MTV,” Sullivan said when asked what her role has been so far. “I have been sending donuts to Hulu and Netflix. 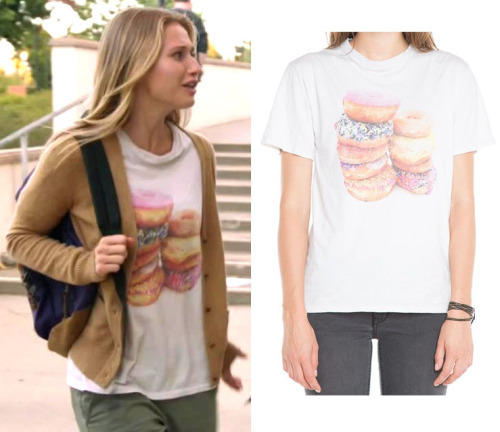 That’s kind of where I offer my services.” The donut reference is from a shirt that Amy, the main character, wears in episode one. 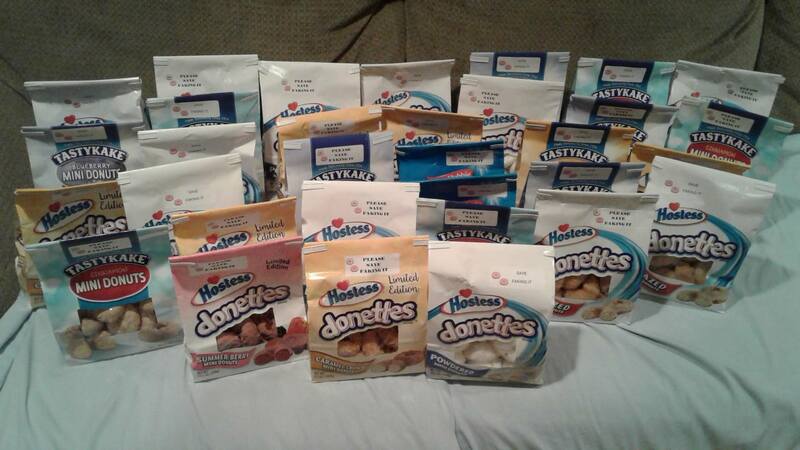 For the sake of finances, they send donettes. Besides the donut-barrage, Faking It fans partake in community-building activities that take place largely online. Much of the audience, however, isn’t even in the States. Fans from dozens of countries have signed the petition. According to Gezels, the show was popular in Brazil, France, the UK, Italy, Spain, and Portugal, just to name a few. “And while you would expect the show to get less attention the farther east you go, there are actually several fans from eastern countries, such as Russia and India. I think for them especially, the cancellation is a great loss, because acceptance of LGBTQ isn’t so self-evident there as it is in the West,” she noted. It’s precisely because of this international audience that they choose to target streaming services like Netflix and Hulu, which would allow audiences easier (and legal) access. Though Hulu is harder to get ahold of, Sullivan reported that, by now, Neflix knows exactly who they are and what they’re after. The petition currently has about 30,000 signatures, with a new goal of 35,000—a goal that almost matches the finale’s live viewer count of .40 million. A link to a timeline that details how MTV “mismanaged” the release of the show appears on the petition page, which Gezels created and has left largely up to interpretation. A few things stick out sorely, such as the extra-long gap between season 2A and 2B, the iTunes leak, and the depressing lack of promotion for season three. On a more positive note, the timeline shows the variety of awards Faking It won posthumously. The most recent of those was the four TV Scoop Awards that went to the show in early July. Along with Hulu and Netflix, the petition is also aimed at FreeForm, the rebrand of ABC Family, which has not only a track record of LGBTQ representation, but also a new show with Katie Stevens, the actress who played Karma. As for MTV, Sullivan admits they’re saving that one for last. But though the cancellation caused many people a personal pain, hate is absolutely not the message the petition is trying to send. It’s as much an attempt at getting the community to bond together as it is to get the show back on the air. “Every Friday, fans choose a hashtag to get trending on Twitter, and then it’s just about gathering the audience together for a few hours to tag the networks and let them know we’re still out there,” said Sullivan. Once the hashtag is chosen, it appears on the website so everyone can participate. Both Sullivan and Gezels are positive about their chances. After explaining the largely uncounted overseas fanbase and how that could appeal to Netflix as they seek more traction internationally, Gezels explained with optimism, “We know that we have to justify why we think the show deserves another chance despite the ‘bad ratings,’ but I think that we have plenty of arguments to make a strong case here, both in terms of quality (the show was good) and quantity (the show was popular).” Any fan of the show knows, of course, that Faking It was both, despite MTV’s claims to the contrary. Last week, fans gathered together to get “New Home For Faking It” trending. If you’re a fan of the show, here’s your call to action: Sign the petition and voice your opinion with the hashtag of the week to get Faking It back on the air. The #FakingIt Family is strong! I love this show with all my heart and soul, I want it back on!